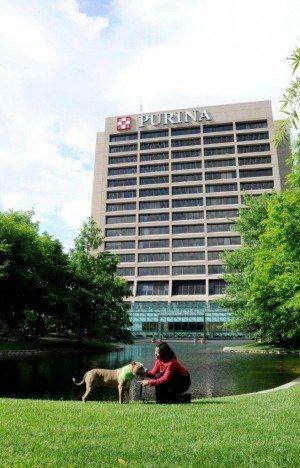 Nestle Purina PetCare employee Karita Wynn with her dog, Titan, at Nestle Purina PetCare's St. Louis headquarters. Nestlé Purina PetCare is buying the Petfinder pet adoption website, a move expected to strengthen its role as a leading online provider of pet-related information. The St. Louis-based maker of Purina ONE, Beneful and Beggin’ Strips pet food and snacks announced the purchase from Discovery Communications LLC on Wednesday but did not disclose financial terms. Oversight of the website that attracts 100 million visits annually will shift to St. Louis after the acquisition closes in July, Nestlé Purina said. Petfinder has 19 employees. It’s the first time Nestlé Purina’s parent company, Swiss-based Nestlé, has acquired a website, company executives said. Since it launched in 1996, Petfinder.com has led to the adoption of 22 million pets in the United States, Canada and Mexico. The website provides information about local animal shelters and rescue centers with the goal of linking animals to new owners. Nestlé Purina sees the purchase as an opportunity to broaden its support for pet welfare organizations. “Petfinder is all about helping homeless pets find homes, and that’s a core mission of Nestlé Purina,” Steven Crimmins, chief marketing officer for Nestlé Purina, told the Post-Dispatch. Nestlé Purina plans to add content from its nutritional experts to the site to increase the information available to pet owners. “Over time, it can be a vehicle for us to share the vast knowledge we have about pet nutrition and pet care,” he said. 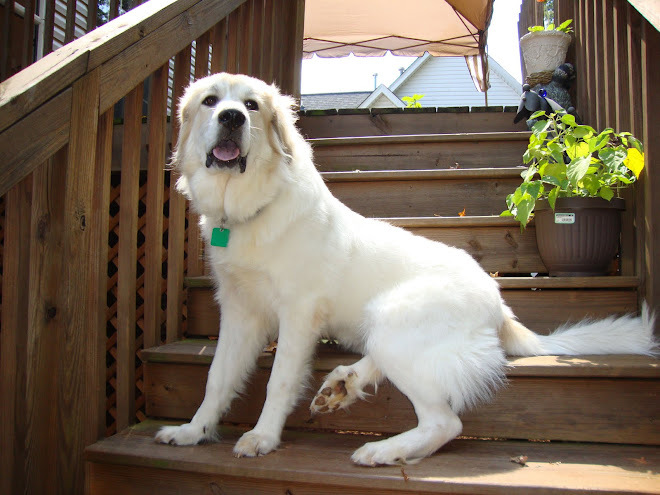 Crimmins said the broad reach of Petfinder’s audience in North America also made it an attractive purchase. “Petfinder’s traffic is equal to Nike.com and larger than Starbucks.com, which is really remarkable,” he said. Once the transaction closes, Petfinder.com will link to Nestlé Purina’s other websites. “We’ll be connecting everything,” Crimmins said, so it’s “liquid and linked” and easy to navigate with other corporate sites online. Discovery Communications, which is based in Silver Spring, Md., and which owns the Animal Planet and Discovery Channel television networks, acquired Petfinder in 2006. Also on Wednesday, Nestlé Purina announced a new perk for its employees — $200 to assist with costs when adopting or purchasing a dog or cat. The company has about 2,000 employees in the St. Louis region and 11,000 in the United States, Canada and Latin America. “We are excited to take this step to not only promote the joy that pets bring to people’s lives, but also to make it easier for our associates to welcome a pet into their home,” Steve Degnan, Nestlé Purina’s human resources vice president, said in a statement. Labels: AKC , Animal Advocates , Animal Events in NC , County Animal Shelters , Dogs , NC County Animal Shelter , NC General Assembly , pet adoption , petfinder , Purina , Susan Barrett , Susan Barrett in N.C.